Examples of healthcare operations include: (a) development of clinical guidelines; (b) contacting patients with information about treatment alternatives or communications in connection with case management or care coordination; (c) reviewing the qualifications of and training health care professionals; (d) underwriting and premium rating; (e) medical review, legal services, and auditing functions; and (f) general administrative activities such as customer service and data analysis. (a) public health activities including, preventing or controlling disease or other injury, public health surveillance or investigations, reporting adverse events with respect to food or dietary supplements or product defects or problems to the Food and Drug Administration, medical surveillance of the workplace or to evaluate whether the individual has a work-related illness or injury in order to comply with Federal or state law; (b) disclosures regarding victims of abuse, neglect, or domestic violence including, reporting to social service or protective services agencies; (c) health oversight activities including, audits, civil, administrative, or criminal investigations, inspections, licensure or disciplinary actions, or civil, administrative, or criminal proceedings or actions, or other activities necessary for appropriate oversight of government benefit programs; (d) judicial and administrative proceedings in response to an order of a court or administrative tribunal, a warrant, subpoena, discovery request, or other lawful process; (e) law enforcement purposes for the purpose of identifying or locating a suspect, fugitive, material witness, or missing person, or reporting crimes in emergencies, or reporting a death; (f) disclosures about decedents for purposes of cadaveric donation of organs, eyes or tissue; (g) for research purposes under certain conditions; (h) to avert a serious threat to health or safety; (i) military and veterans activities; (j) national security and intelligence activities, protective services of the President and others; (k) medical suitability determinations by entities that are components of the Department of State; (l) correctional institutions and other law enforcement custodial situations; (m) covered entities that are government programs providing public benefits, and for workers’ compensation. Your designated record set is a group of records we maintain that includes Medical records and billing records about you, or enrollment, payment, claims adjudication, and case or medical management records systems, as applicable. You have the right of access in order to inspect and obtain a copy your personal health information contained in your designated record set, except for (a) psychotherapy notes, (b) information compiled in reasonable anticipation of, or for use in, a civil, criminal, or administrative action or proceeding, and (c) health information maintained by us to the extent to which the provision of access to you would be prohibited by law. We may require written requests. We must provide you with access to your personal health information in the form or format requested by you, if it is readily producible in such form or format, or, if not, in a readable hard copy form or such other form or format. We may provide you with a summary of the personal health information requested, in lieu of providing access to the personal health information or may provide an explanation of the personal health information to which access has been provided, if you agree in advance to such a summary or explanation and agree to the fees imposed for such summary or explanation. We will provide you with access as requested in a timely manner, including arranging with you a convenient time and place to inspect or obtain copies of your personal health information or mailing a copy to you at your request. We will discuss the scope, format, and other aspects of your request for access as necessary to facilitate timely access. If you request a copy of your personal health information or agree to a summary or explanation of such information, we may charge a reasonable cost-based fee for copying, postage, if you request a mailing, and the costs of preparing an explanation or summary as agreed upon in advance. We reserve the right to deny you access to and copies of certain personal health information as permitted or required by law. We will reasonably attempt to accommodate any request for personal health information by, to the extent possible, giving you access to other personal health information after excluding the information as to which we have a ground to deny access. Upon denial of a request for access or request for information, we will provide you with a written denial specifying the legal basis for denial, a statement of your rights, and a description of how you may file a complaint with us. If we do not maintain the information that is the subject of your request for access but we know where the requested information is maintained, we will inform you of where to direct your request for access. You have the right to request that we amend your personal health information or a record about you contained in your designated record set, for as long as the designated record set is maintained by us. We have the right to deny your request for amendment, if: (a) we determine that the information or record that is the subject of the request was not created by us, unless you provide a reasonable basis to believe that the originator of the information is no longer available to act on the requested amendment, (b) the information is not part of your designated record set maintained by us, (c) the information is prohibited from inspection by law, or (d) the information is accurate and complete. We may require that you submit written requests and provide a reason to support the requested amendment. If we deny your request, we will provide you with a written denial stating the basis of the denial, your right to submit a written statement disagreeing with the denial, and a description of how you may file a complaint with us or the Secretary of the U.S. Department of Health and Human Services (“DHHS”). This denial will also include a notice that if you do not submit a statement of disagreement, you may request that we include your request for amendment and the denial with any future disclosures of your personal health information that is the subject of the requested amendment. Copies of all requests, denials, and statements of disagreement will be included in your designated record set. If we accept your request for amendment, we will make reasonable efforts to inform and provide the amendment within a reasonable time to persons identified by you as having received personal health information of yours prior to amendment and persons that we know have the personal health information that is the subject of the amendment and that may have relied, or could foreseeably rely, on such information to your detriment. All requests for amendment shall be sent to Privacy Officer c/o Julian Mountain Spa, PO Box 1573, Julian, CA, 92036. Beginning April 14, 2003, you have the right to receive a written accounting of all disclosures of your personal health information that we have made within the six (6) year period immediately preceding the date on which the accounting is requested. You may request an accounting of disclosures for a period of time less than six (6) years from the date of the request. Such disclosures will include the date of each disclosure, the name and, if known, the address of the entity or person who received the information, a brief description of the information disclosed, and a brief statement of the purpose and basis of the disclosure or, in lieu of such statement, a copy of your written authorization or written request for disclosure pertaining to such information. We are not required to provide accountings of disclosures for the following purposes: (a) treatment, payment, and healthcare operations, (b) disclosures pursuant to your authorization, (c) disclosures to you, (d) for a facility directory or to persons involved in your care, (e) for national security or intelligence purposes, (f) to correctional institutions, and (g) with respect to disclosures occurring prior to 4/14/03. We reserve our right to temporarily suspend your right to receive an accounting of disclosures to health oversight agencies or law enforcement officials, as required by law. We will provide the first accounting to you in any twelve (12) month period without charge, but will impose a reasonable cost-based fee for responding to each subsequent request for accounting within that same twelve (12) month period. 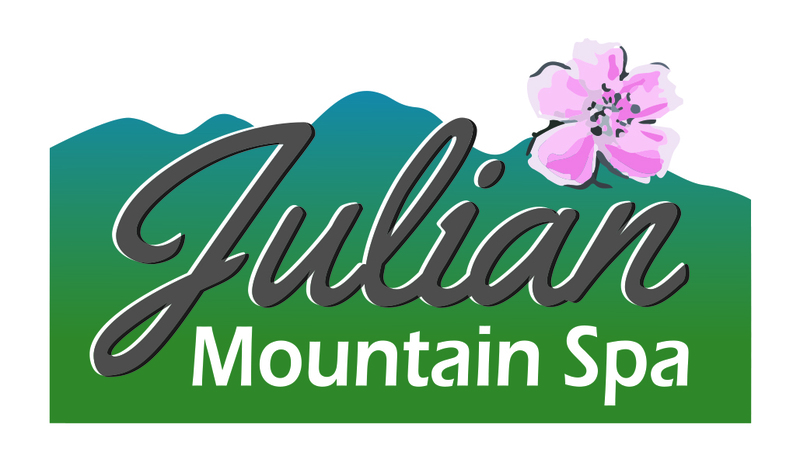 All requests for an accounting shall be sent to Privacy Officer c/o Julian Mountain Spa, PO Box 1573, Julian, CA, 92036.